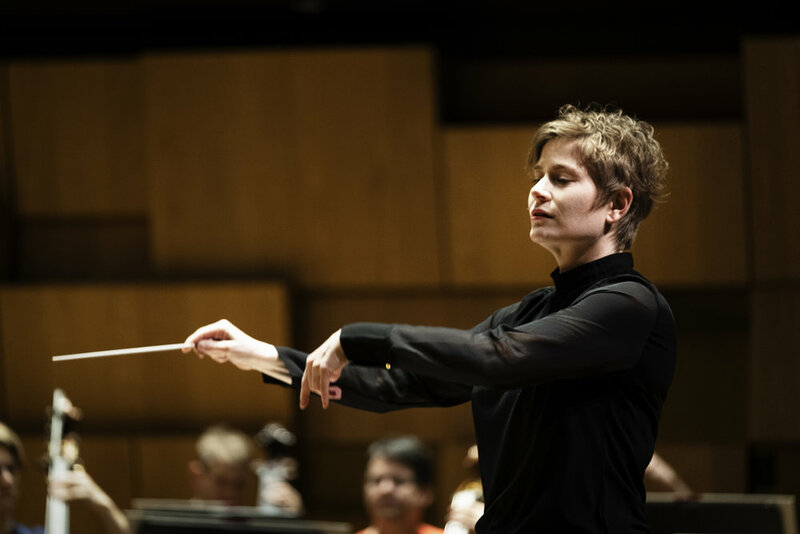 German conductor Anja Bihlmaier’s strong musical instinct and natural leadership have propelled her to rise fast amongst the ranks of emerging conductors both on the symphonic and operatic stages. 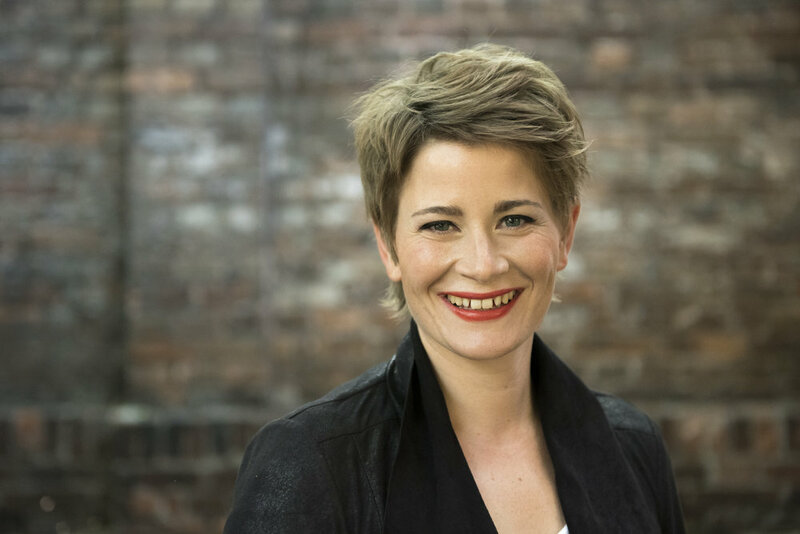 Anja Bihlmaier’s early positions at the Staatsoper Hannover and Theater Chemnitz afforded many opportunities to conduct opera productions including Tchaikovsky Eugene Onegin, Bizet Carmen, Massenet Werther, Mozart Le Nozze di Figaro and Dvořák Rusalka. With her appointment as 1st Kapellmeisterin and Deputy Music Director of the Staatstheater Kassel (2015-2018) she conducted a number of subscription concerts including Mahler Das Lied von der Erde in addition to opera productions. As a guest Ms Bihlmaier has recently conducted the Deutsches Symphonie-Orchester Berlin, Deutsche Radio Philharmonie Saarbrücken Kaiserslautern, Sinfonieorchester Wuppertal, Bremen Philharmonic and Saarländisches Staatstheater whilst outside Germany engagements have included the Royal Stockholm Philharmonic, Gothenburg Symphony, Tapiola Sinfonietta, Toldeo Symphony and Volksoper Wien. Orchestral highlights during 18/19 include performances with the Residentie Orkest, NDR Radiophilharmonie Hannover, Malmö Symphony, Lahti Symphony, Trondheim Symphony, Toledo Symphony and L’Orchestre Teatro Massimo Bellini with repertoire ranging from Haydn, Mozart, Mendelssohn and Schumann to Kodály, Bartók, Tchaikovsky, Louise Farrenc and Mikko Heiniö. Opera engagements include returns to the Vienna Volksoper for productions of Mozart Die Zauberflöte and Strauss Die Fledermaus, Trondheim Opera for Gounod Faust and to Goteborg Opera for a symphonic programme. Following studies at the Freiburg Conservatory of Music with Scott Sandmeier, Anja Bihlmaier won a scholarship to study with Dennis Russell Davies and Jorge Rotter at the Salzburg Mozarteum and attended masterclasses with Sian Edwards, Peter Gülke, Günther Herbig and Jac van Steen. She won further scholarships from the Richard Wagner Foundation and was admitted into the Deutsche Dirgentenforum in 2005. In 2006 she was awarded third prize at the International Dimitris Mitropoulos Competition and was a finalist at the 2008 Donatella Flick Competition in London.